It’s hard to believe, but in a few weeks we will be starting the process of celebrating Make Believe’s 15th anniversary, and what a ride it has been, providing performing arts to thousands of young people in the UK and beyond. 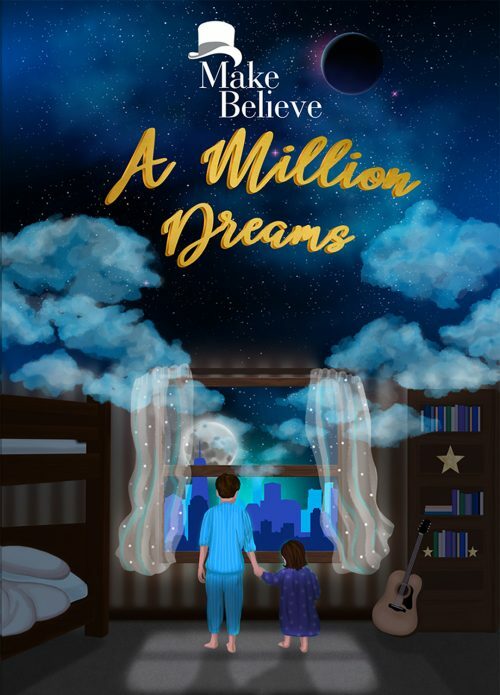 Our very name is all about aspiration and achievement, and we are celebrating 15 years in style, with our 2019 production ‘A Million Dreams,’ which will highlight Make Believe’s quest to give both children and adults the opportunity to turn their dreams into reality. So when any of our amazing students look in the mirror, whether they see a reflection singing in a packed stadium, dancing in a West End show, or playing the lead role in a Hollywood movie, they know that we are with them every step of the way, determined to help them succeed. But Make Believe is as much about the adults as it is about the students, because our brilliant franchisees are also on a journey, to realise their dreams of running a successful business in performing arts. And behind their success is a dedicated team of experts, in business administration, design, videography, talent spotting and management, guiding them all the way. The 2019 show run will again hold residency at the wonderful Stratford Circus Arts Theatre, but in-keeping with the dream-big mantra, six of our schools have also been selected to perform at the iconic O2, with 65 winners of an audition process making up the Resident Team. Throughout the shows, there will be documentary-style videos, showcasing individuals who make up the past, present and future of Make Believe. Every single student is a star in our eyes – we celebrate a young person whose shyness has transformed into confidence, as much as we celebrate students who tread the boards of the West End. We celebrate the small things like a teacher having a positive impact on a student, as much as the economic success of a franchise. In short, we celebrate dreams becoming a reality! 2018 Tickettainment. All rights reserved.